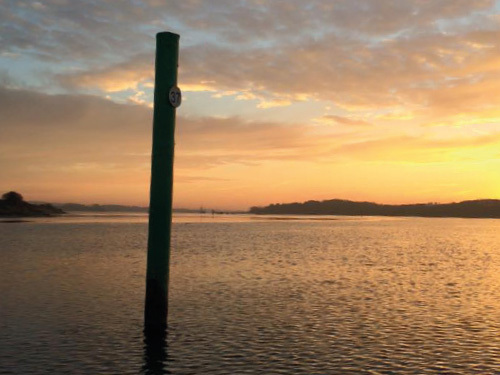 Starting from just £350 per year we operate a variety of tidal and deep water moorings in the sheltered western reaches of Portsmouth Harbour. 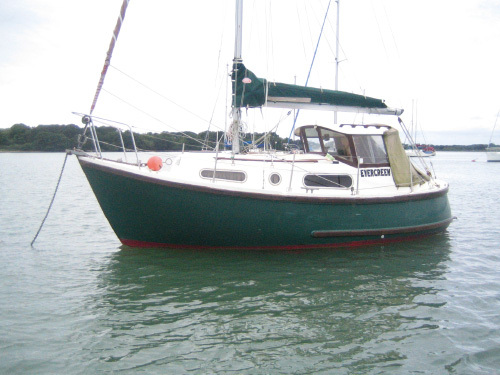 Suitable for both sailing and power boats up to about 9 metres, these are located in delightful natural surroundings and offer quick access to the Solent, Isle of Wight and nearby ports of interest along this attractive stretch of the south coast. 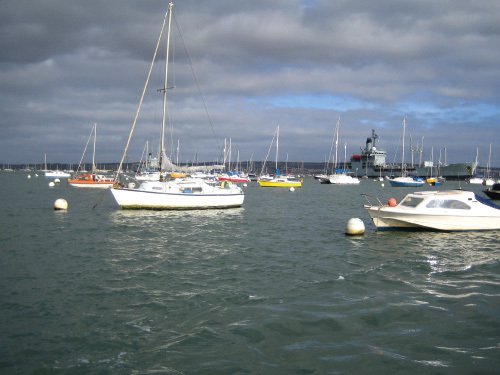 Historic Yarmouth, busy Lymington and Newtown Creek are in the Western Solent, Bembridge has a welcoming sailing club whilst Priory Bay and Ryde are beach side destinations just a couple of hours away. The large enclosed area of Portsmouth Harbour not only provides a safe haven but is also excellent for day sailing or just enjoying being on the water. 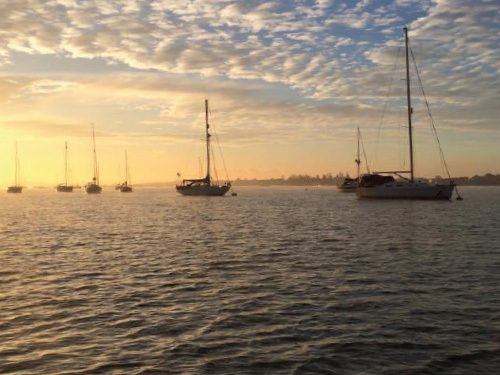 The moorings are in an Area of Special Scientific Interest and it is an important habitat for a wide variety of marine birds. Access to the water is via our own foreshore or by the public pontoon and there is ample free parking in St Helier Road. Our moorings are fully maintained by James and Luke. Located just north of the Hardway Sailing Club. 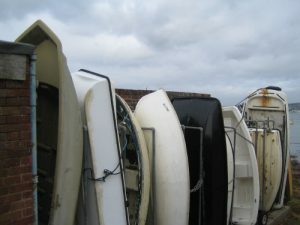 These moorings are ideal for boats up to 7 metres able to take the bottom which is soft mud. Close to our lock up dinghy compound and access slipway. 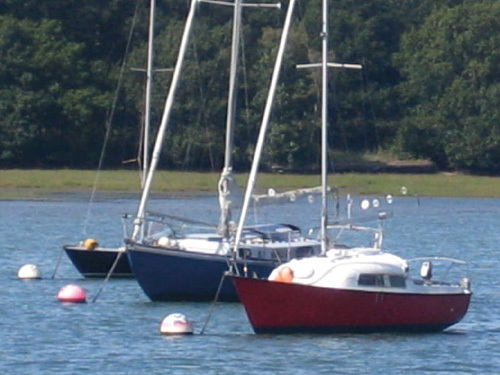 These moorings are pleasantly situated in a quiet part of the harbour and sheltered from prevailing winds. Suitable for boats up to 9 metres. If it’s your first visit to Hardway, why not arrange a time to meet us and we can show you all aspects of what we can offer you. Take the A32 towards Gosport. After 3 1/2 miles turn left at traffic lights towards Hardway and Priddy’s Hard. After I mile turn left at traffic lights to Hardway and left in to Priory Road. The Slipway at 99, Priory Road is about 300 metres on your left just before you reach the Hardway Sailing Club. If you pass the Club you have gone too far! Head north past the Castle Tavern and turn right at the fourth set of lights into The Crossways. Go over the mini roundabout past the Glencoe and then turn right into Sealark Road.Turn left at the roundabout and continue to the T junction. Turn left at the T junction and then right and go past the car park on you left. When you see the harbour at the next T Junction turn left and The Slipway at 99 Priory Road is on the right immediately after the Hardway Sailing Club. 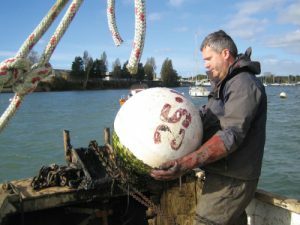 a suitable mooring for your boat. © 2019 Portsmouth Moorings. All Rights Reserved.